Darren Virassammy is the Co-Founder and Chief Operating Officer of 34 Strong, comprised of a team that believes everyone deserves a great place to work and that any workplace can be great. A leading expert in the global employee engagement community, the 34 Strong team leverages the Strengths-Based approach to human development to create massive shifts within organizations, both culturally and on the bottom line. He and his team have created sustainable change in small microbusinesses, all the way up to large organizational teams at the FDA, Bank of America, American Licorice and The California Department of Public Health. Recently, Darren has keynoted for Hitachi Global Women’s Conference, The Rotary World Peace Conference, The Professional Grounds Management Society, and Author Mike Michalowicz’ Profit Con (where he also closed down the conference by performing a solo bass guitar piece he composed titled Metamorphosisas a tribute to the journey of entrepreneurs) Darren’s 34 Strong Business partner, Brandon Miller is the co-Author (with his wife Analyn Miller) of a Strengths-Based Parenting book titled: Play to Their Strengths due out in July of 2019. So for many entrepreneurs it feels more natural to focus on what is wrong more often than what it right because what is wrong is what gets attention. 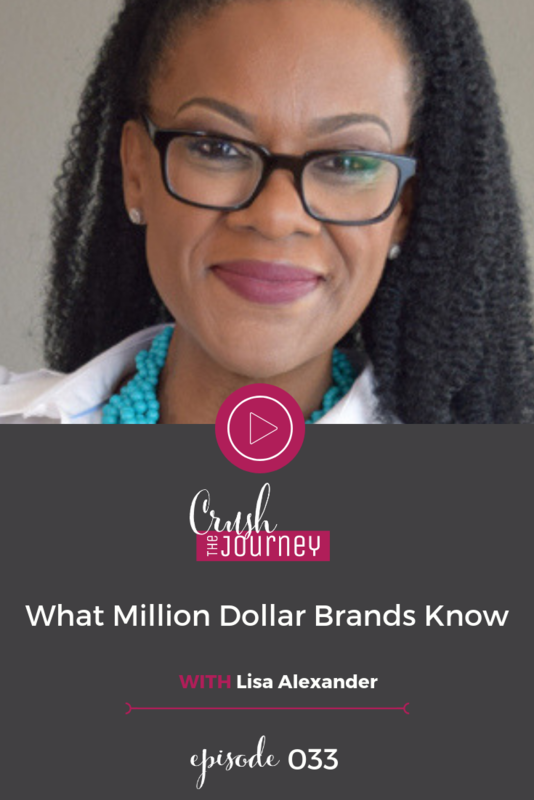 It is why many entrepreneurs and business owners tend to fall into the trap of putting out daily fires in their business and don’t often take the time to really look at all the areas that are going right and that they are strong. 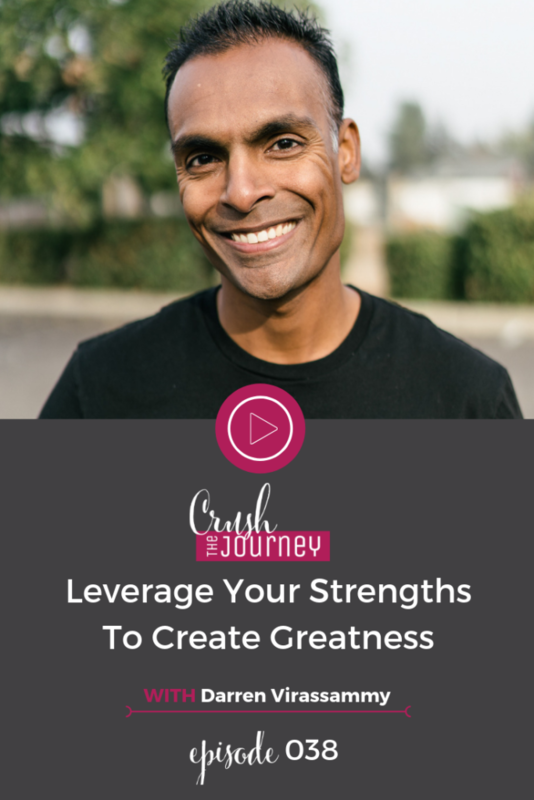 And really and truly, it is going to be focussing on your strengths and the strengths of those around you that will take your business to that next level and my guest today is here to share his expertise on how we can do just that. 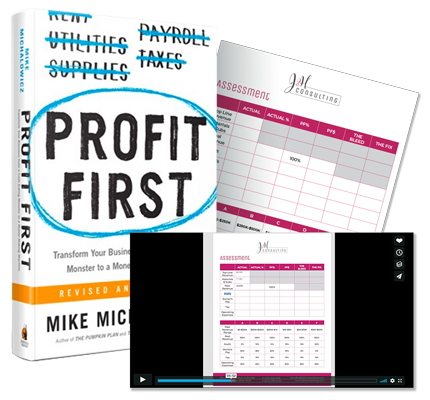 This amazing tool will help you identify what are the things you are doing that are in your grind zone, greatness zone and genius zone. Having a keen eye isn’t just for what one sees, but also for what one senses. Having been one of the most sought after portrait photographers in the U.S. for more than three decades, Jeffrey Shaw, a.k.a. the Lingo Guy, uses this honed intuition to teach entrepreneurs how to attract their ideal customers by speaking their Secret Language.Jeffrey is host of the popular business podcast Creative Warriors, a nationally acclaimed keynote speaker, a TEDx speaker, a business coach for entrepreneurs, and author of the bestselling book, LINGO: Discover Your Ideal Customer’s Secret Language and Make Your Business Irresistible. We all know that to be successful entrepreneurs we need to work with our ideal customers because they are the ones who will truly value what we have to offer and be willing to pay for it. But despite our efforts to develop outstanding products or services, create snazzy websites, and toil night and day to deliver our offerings, so often we may fail to reach our ideal customers, which can leave many of us frustrated and defeated. 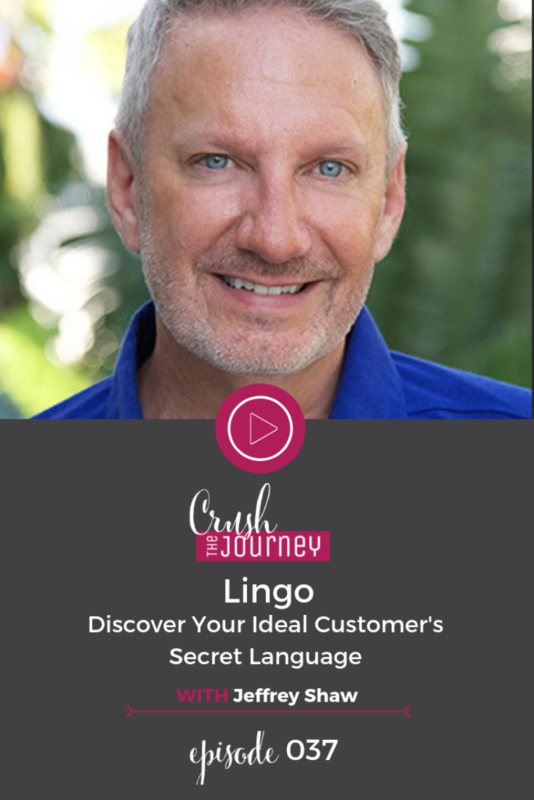 Well my guest today is Jeffrey Shaw and he was able to turn his own business around by learning to speak the secret language of his ideal customers and truely differentiate himself from his competitors and he put it all in his new book, LINGO where he shares his 5 step secret language strategy. Dawn is one of the founding partners of McFadden Bushnell. Dawn moved to Chagrin Falls when she was in High School. She attended law school at Case Western Reserve University and has spent a significant portion of her professional life in the Cleveland area. Dawn focuses on assisting clients and their families in planning for possible long-term care needs, including nursing home care. Locating the appropriate type of care, coordinating private and public resources to finance the cost of care, and working to ensure the client’s right to quality care are all part of their elder law practice. When not in the office, she can be found in Shaker Heights, Ohio with her husband André. Christina is a founding partner of McFadden Bushnell. 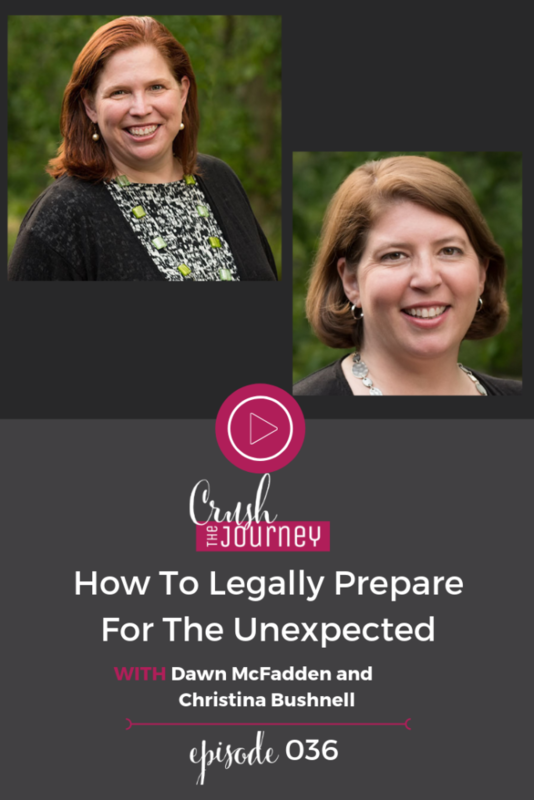 A longtime resident of the Cleveland area, Christina spent the first decade of her legal career as a paralegal before taking the plunge and going to law school. She concentrates her practice on elder law, special needs planning and estate planning, particularly assisting her clients plan for long-term care issues through the use of Medicaid crisis and pre-planning. Outside the office, Christina and her husband Mike can be found cheering on their sons Declan and Sean at hockey, basketball, or other various sports depending on the season. In this episode we will be talking about something that is near and dear to my heart. As most of your know, I mentioned a couple episodes ago my mother had fallen ill and unfortunately passed away. The whole experience as many of you can imagine was very difficult for a number of reasons. But probably the most difficult was just how unprepared me and my family were, especially preparing all the legal stuff. For those of you that may have experienced a terminal illness of a loved one, you know that alone is painful but when you are completely unprepared for how everything is going to be handled during and after, it can be quite unbearable. Well my guests today are 2 of some of the kindest and heart-centered lawyers I know and they happen to be sisters to boot. They took what could have been a tremendously confusing, chaotic and frantic situation and made it as simply and easy as possible. And I have invited them here to today to talk to us about the conversations we need to start having with our loved ones and the planning that needs to be done now, both personally as well as for our business, so that if God forbid you find yourself in a similar situation as I was last year, you will at least have that peace of mind knowing that all the major decisions and planning have already been done so that you can focus on being there for your loved one. Steve Bealey has over 11 years experience in the financial industry with credentials including certified financial planner and accredited portfolio management advisor. He is also very passionate about educating and empowering young people to make smart choices with their money. In 2017, Steve published the book “Financial Success Starts…Now! The Young Person’s Guide to Money in America”. It is geared towards helping young people make smart financial decisions on their path to growing wealth and building a secure future. 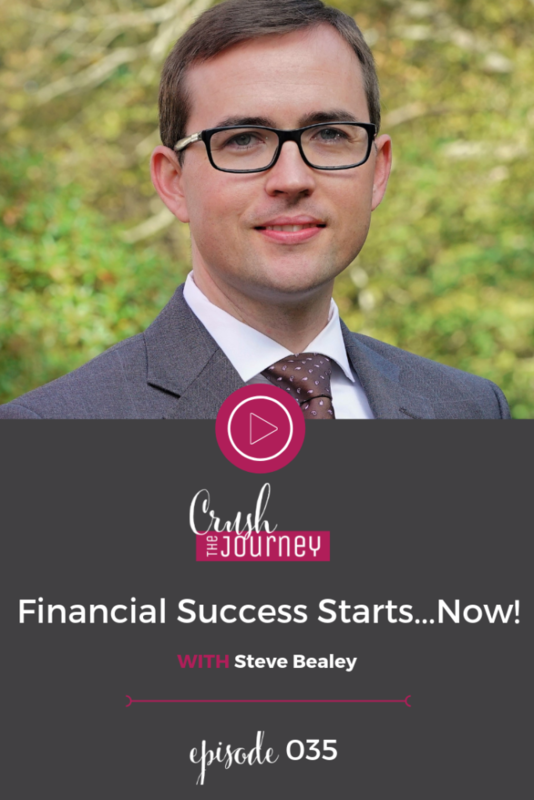 In today’s episode, I discuss with financial expert, Steve Bealey, about the fundamentals of how to build wealth and the strategies he recommends in making your financial success to start now.